Fixed / added - VS transitions for all heroes. Added Unova Ash instead of Misty due to the lack of graphics, sorry for the change. 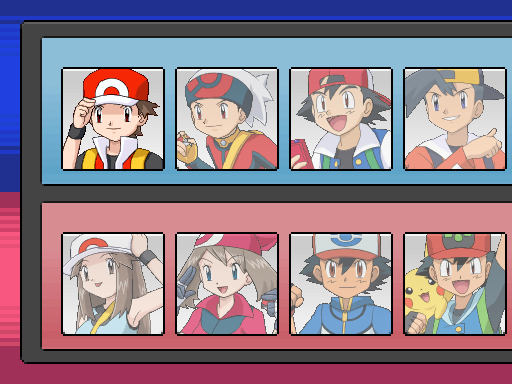 And added all the necessary sprites for the Unova Ash character. This concludes the gender selection screen system and now it is fully operational, without any problems. If you want to change your current heroe, please send me your saved game or start a new game. IMPORTANT NOTE: I DECIDED TO IMPLEMENT AN EVENT, RICHARD NPC, AT GAME CREATOR MANSION ENTRANCE, TO GIVE PLAYERS AN OPORTUNITY TO CHANGE THEIR CHARACTER / HEROE ONCE. IN FURTHER UPDATES, THIS EVENT WILL BE DELETED. I ONLY MADDED THIS TO AVOID YOU FROM STARTING A NEW GAME ONLY TO CHOOSE THE HEROE. IT'S A COMPENSATION DUE THE ERRORS THAT THE SYSTEM CAUSED BEFORE IT'S FIX. Improved / Added - some overworld NPC trainers to match their "nature". 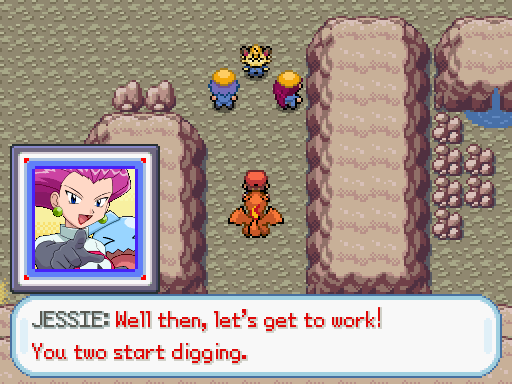 They are: Team Rocket Meowth normal, Team Rocket Meowth with worker suit, Team Rocket James with worker suit, Team Rocket Jessie with worker suit, Hope, Faith, Charity, Ivy, Bugsy, Drew, Pokecenter Nurses. Added around 50 new Pokemon encounters to PokeRadar list. They are scattered in all 4 regions. Important Note: This is only the part 2. The Pokeradar system only misses the special encounters list that we are still under developping, the rest of the system is ready to use by the players. So, be patient until we add the rest of the encounters into this system. This is an early access. 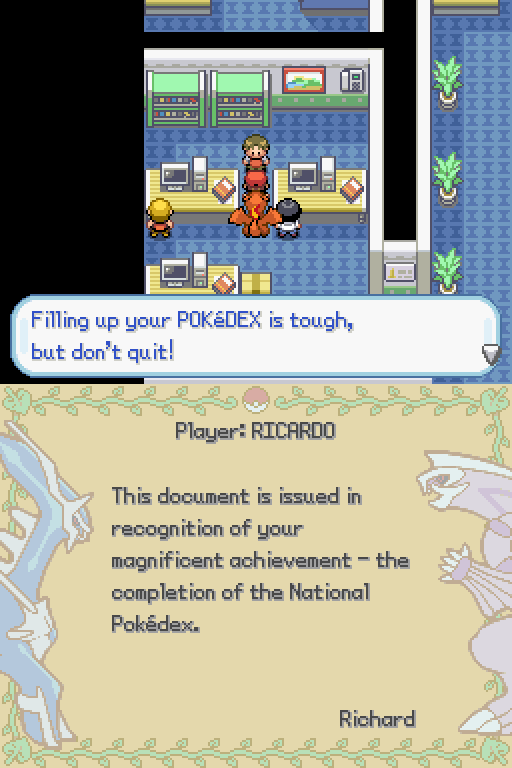 When the player completes the National Pokédex, it will be rewarded by a game freak character at Celadon Mansion, with a ribbon and a diploma. 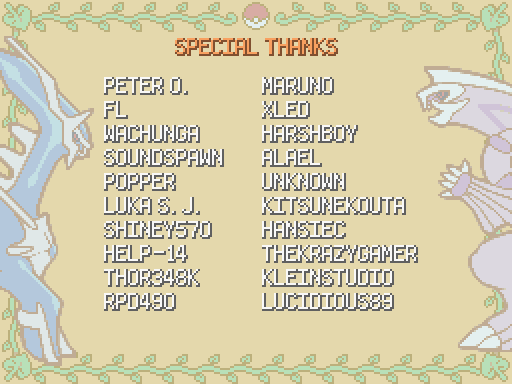 The game have 809 unique Pokemon. Fixed / improved some older and newest abilities already released from older updates. Improved some abilities descriptions to fit in the abilities message box in Pokemon summary. Mimikyu Busted form, Minior core forms. Primarina now have 2 abilities- Torrent and Liquid Voice. Greninja now have 2 abilities- Torrent and Battle Bond. Kecleon now have 2 abilities- Color Change and Protean. Igglybuff / Jigglypuff / Wigglytuff now have 2 abilities- Cute Charm and Competitive. Milotic now have 2 abilities- Marvel Scale and Competitive. Gothita / Gothorita / Gothitelle now have 2 abilities- Frisk and Competitive. Spritzee / Aromatisse now have 2 abilities- Healer and Aroma Veil. Fletchling / Fletchinder / Talonflame now have 2 abilities- Big Pecks and Gale Wings. Cubchoo / Beartic now have 2 abilities- Snow Cloak and Slush Rush. Skiddo / Gogoat now have 2 abilities- Sap Sipper and Grass Pelt. Decidueye now have 2 abilities- Overgrow and Long Reach. Goodra- Changed the Sap Sipper ability to Gooey ability. Flabebe / Floette / Florges and the respective forms now have 2 abilities- Flower Veil and Symbiosis. Alola Golem- Changed the Sturdy ability to Galvanize ability. Alola Muk- Changed the Gluttony ability to Power Of Alchemy ability. Note: I don't want to implement hidden abilities, that's why i'm making these little changes in abilities, to give an oportunity for you to test all the game's abilities. The Pokemon list above are the only ones that have those unique abilities, which are hidden abilities in the official games. Since i will not implement hidden abilities, i must gave them as "normal" abilities. Special Note: Modified the Ash-Greninja form. The normal Greninja will now have the Torrent and Battle Bond abilities, and only the one that has the Battle Bond ability can transform in battle, only in battle. This way, it now works the same way from the official games. There is 2 different Greninjas from the official games due to some promotions. But that thing doesn't exist in my game, so we made him this way. Ash-Greninja in my game can breed, but in the officials not. In other words, after you evolved Frogradier into Greninja, it can have the Torrent ability or Battle Bond, the abilities will be random. A battle has 2 or more pokemon, by killing with one attack only that makes the pokemon to faint. For ex: Ash-Greninja lv100 using Water Pulse against a Wingull lv10. Disguise, Galvanize, Power Of Alchemy, Receiver, Water Compaction, Water Bubble, Bulletproof, Battery, Protean, Competitive, Aroma Veil, Gale Wings, Gooey, Symbiosis, Triage, Innards Out, Liquid Voice, Steelworker, Shields Down, Tangling Hair, Berserk, Stamina, Wimp Out, Emergency Exit, Dazzling, Corrosion, Merciless, Dancer, Comatose, Slush Rush, Long Reach, Queenly Magesty, Stakeout, Full Metal Body, Shadow Shield, Prism Armor, Neuroforce, Soul-Heart, Grass Pelt, Surge Surfer, Grassy Terrain, Eletric Terrain, Misty Terrain, Psychic Terrain, Beast Boost. Note: The abilities were added in the game from older versions, but it was only text and without any effects. Now the effects were added and now they works. 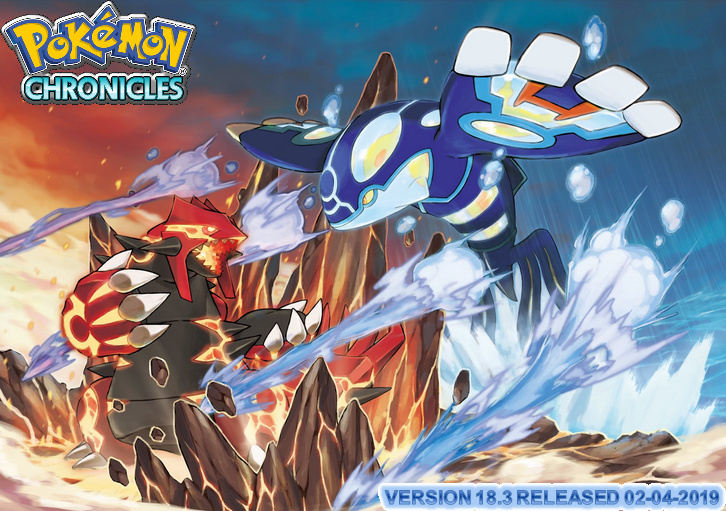 All the abillities from gen.7 were added in this update. They were tested but if errors pops up, please report through game's email. Added new Pokemon: Meltan and Melmetal. 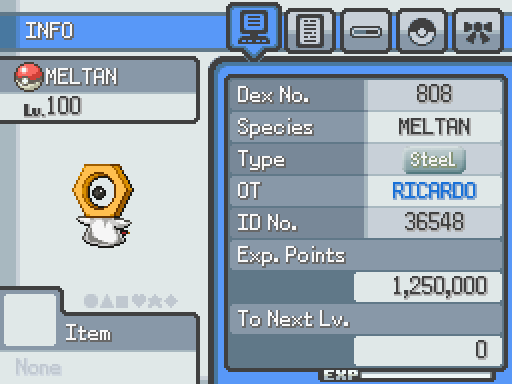 Meltan evolves by using a Steel Candy on it, to evolve to Melmetal. Steel Candy works like evolution stones in this game. Updated the Pokedex Microsoft Word file. Fixed - Lycanroc day and night forms and dusk form cry. Fixed - Sylveon evolution formula. It now evolves when it has >=180 and <=219 happiness points. Fixed - Alola Raichu form, type, TMs list, cry, stats, etc. Fixed - Escape Rope teleporters. Fixed - Jotho Safari Zone teleporters. Fixed - Petalburg City / Route 104 teleporters. Fixed - Mauville City / Route 118 teleporters. Fixed - Jirachi Movie events issues. Fixed - Day Care variables that are causing crashes when players enters the Pokecenters because of the buged pokemon from the Day Care system. Fixed - Missing switch for trainers on the Trainer Tower 4th floor, when player participate in double battles. Fixed - When battle the game's creator character, it now gives you the Legend ribbon. Fixed - Dusk Stone "Use" option. This forbids players to evolve certain Pokemon in the last update, now it fixed. Fixed - Route 115 "invisible wall" that blocks players from getting an Item on the map. A map tileset bug, now its fixed. Improved - Pokemon overworld sprites for: Trumbeak, Toucannon, Dewpider, Araquanid. 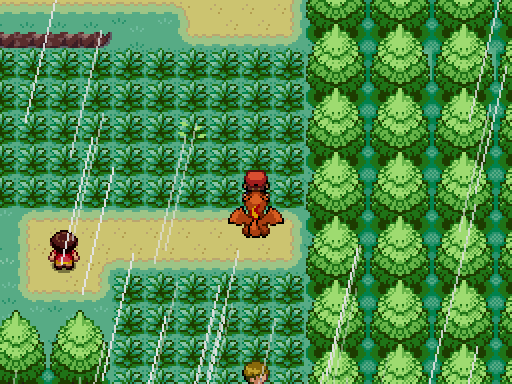 Added - Terrain Tag 11, for underwater maps in routes: 124 and 126 in Hoenn region. Added - February Event on Richard NPC at Game Creator Mansion in Celadon City. Added - Steel Candy evo item for Meltan. Added - Improved graphics for some of the Gen. 7 Pokemon. Updated - Pokedex Microsoft Word file. Development - Preparing the system to receive the PokéRadar special encounters. Development - Preparing the system to receive the Game's Creator Events. Development - Preparing the system to receive the Pokemon Contests. And other improved things / repair bugs and errors. Downloaded all the game parts and now what? 1- Place all parts in the same directory / folder / location. 2- Right click on part 1 and then extract it to from the game's exe. 3- With the game's exe. You can delete the winrar parts. Because you've got what you want, the game's exe. 4- Install the game normally and check the Word files for more information about the game installation. IMPORTANT NOTE: The players can continue with their save games from the version 18. Note: Remember, this project is still under development. This is a PC fangame not a hack rom. To download the game, people must be registered in this forum. The game provides players with Word files with instructions about installation and other usefull things. Please read carefuly when instaling the game. People's scripts and other kinds of stuff are credited inside the game in final credits. Part 1- A new version has been released - version 18.3. SPECIAL NOTE: If you've got an error coming from the Pokedex screen, it's because of the add of the newest pokemon nº 808 and 809. Save games can't update the system with this new entries. But if you restart a new game, this error will no longer appear. I though that this add wouldn't affect the save games, but aparently, it gives you an error, only for those that already have a save game before this update. So, i will update the game again in a new link for those that have an older save game before this update. Sorry for that, but it's natural that this things happens sometimes. But, i already said that the game are currently in development so, this things can happen. Pokedex fix for save games before v18.2- A new version has been released - version 18.3. OR: SEND ME YOUR SAVE GAMES, SO I CAN "UNLOCK" THE DEX WITH THIS NEW ENTRIES AND I WILL GIVE YOU MELTAN + EVO ITEM, TO COMPENSATE THE ISSUES CAUSED. Note: Copy/replace, only the files inside the folders and not the folders, those files to the respective folders and see if it fixes the dex error. This fix is only for older save games before v18.2 update and it removes the newest dex nº 808 and 809. For the newest players or for those that want to restart a new game from v18.2 update, will not have this issue and they not need this fix and they will have the dex nº 808 and 809 entries. How to install the game and Updates? 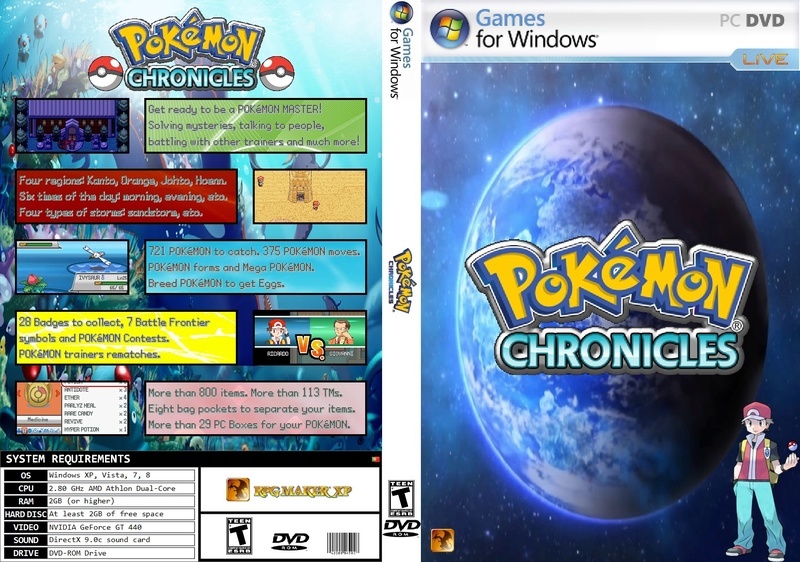 1- To install the game, simply copy and paste the game's folder on your PC. But, never paste it on the folder "My PC". 2- To update to a new game's version, delete your old game's folder and paste this one in the same location. 3- Just play the game and have fun. Note: Your save game will go automatically to another location, so it's fine doing this and you will not lose your saved game.